Quality concentrate of natural rubber latex with 60% dry rubber content. 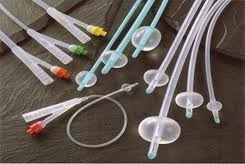 Mainly used for Foam products, adhesives, elastic thread, gloves, balloons, rubber bands, catheters etc. Field latex is a white or slightly yellowish opaque liquid with a specific gravity, which varies between 0.974 and 0.986. It is a weak lyophilic colloidal system of spherical or pear shaped rubber globules suspended in an acquiesces serum. Field latex is centrifuged to manufacture latex concentrated of 60% rubber content. 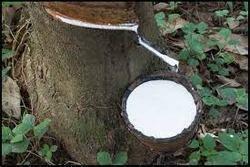 Cream Latex is prepared specifically for Cementex by our plantation. It is very high in solids content and contains between 52% natural latex. It can be used as a coating for special effects when a rubbery look is to be achieved and may also be foamed mechanically. We are suppling latex to several companies. We have a wide collection network. We are suppling high quality latex to our custmors. High Standard Low VFA 60% Centrifuged Latex manufactured in our ISO Certified Malankara Rubber Factory. (BIS Certified). Field latex is centrifuged to manufacture concentrated latex of 60 % rubber content.Joseph Rubbers is marketing High Ammonia(HA) and low ammonia(LATZ) preserved latex as per Customer requirement.